This week Aladinoo celebrated its 10 years together with its faithful clients and animators who contribute every day to return this exceptional adventure. Thanks to all to have shared this instant in our sides! We are happy to announce you that the Aladinoo Group agency is part of 500 the most competitive French firms of year 2018 according to the annual honours list of “Echoes”. 10 years ago, in 2008 adventure Aladinoo began… So today, we want to share this good news, it is because without you, nothing would have been possible. That you are our clients or our teams on the ground, we wish vou s to thank for your confidence and your fidelity in the daily. Another nice success for Aladinoo Conseils! Indeed, after a complete training last August, Aladinoo Group was solicited for a day of intensive coaching for the home Givenchy Benelux, on November 21st. 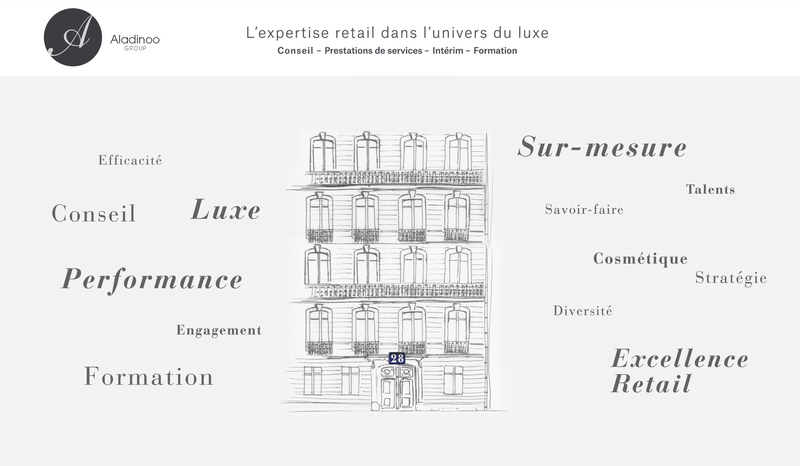 For occasion, representatives De Secteurs (sales and marketing people of mark), the national make-up artists, the marketing team, the head training and the whole seat LVMH brands fragrances were in appointment. New year holidays approaching in big steps, this day was aimed at motivating and Coacher Givenchy teams to confront this crucial period and so, to transform it into big hit! 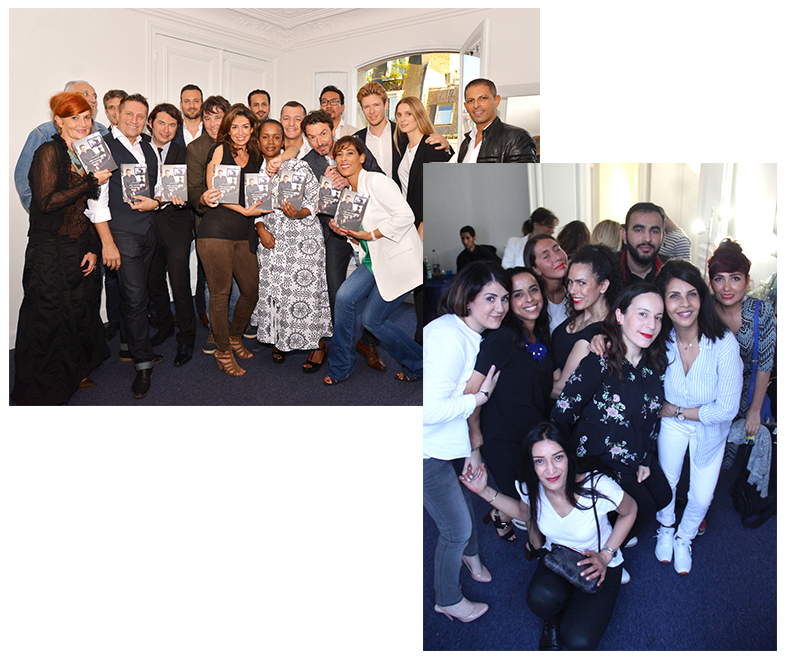 Beauty Forum Paris, appointment of the professionals of ease in institute became established in the Congress palace on October 8th and 9th of this year. Two days to discover many technological novelties and to exchange with professionals of the market. Ideas, tendencies to explore to satisfy customers in search of serenity. Nicola Di Nicola was invited as lecturer of Beauty Forum to treat merchandising and course client in institutes or spas. At first, Nicola reveals that the customers often attracted by a competitive card of care did not live a total experience answering their waitings. In this context, Nicola showed how much it was important that merchandising immediately reveals experience to come and that the place has soul. This place must be lived by a warm personnel, turned to the client giving an experience ultra-customised in contrast to the too often lived standardised process. In second time, Nicola, expert of the retail, put forward the necessity to sensitise and to form teams institutes in the bet in beauty. The customer will go out nice of the institute and will very indeed have bought products used to sublimate her. The customer, thanks to her products, will extend her experience and the need to renew them. The retail trade is in more a negligible vector of the profitability of the place. The agency becomes established in a new space: bigger, more clear, more convivial. This place is also devoted to you and we will receive you there when you wish it to share your actuality or that of Aladinoo. We are happy to welcome you on our new Internet site. We invite you to come to consult him regularly, especially our rubrics news.